It’s that time of year again when the skies light up with fireworks and we celebrate our country’s independence – so, where are you heading to catch the bombs bursting in air? 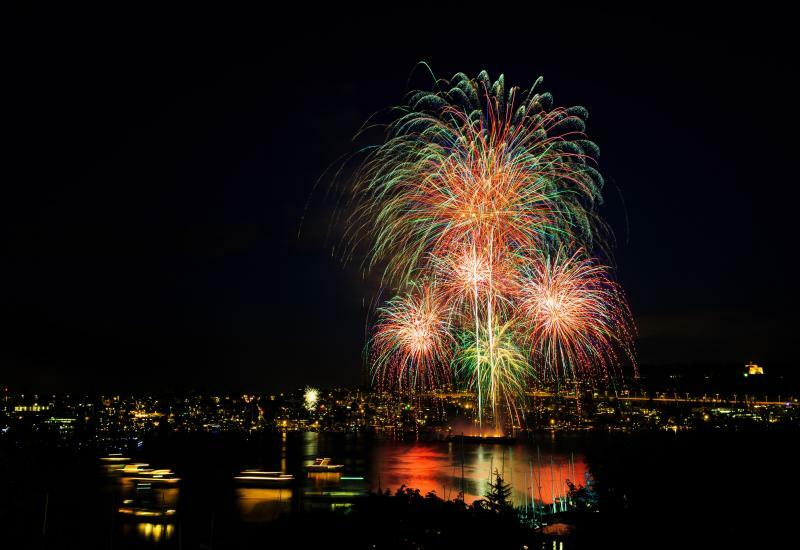 Fear not, for we have compiled a list of optimal fireworks viewing spots, along with tips on how to get there, where to park, where to eat and what to bring. Updated for 2018. The home of the 2018 Special Olympics stand-up paddle board competition also has a great fireworks show for the 4th. Head to the park with your blankets, lawn chairs, and picnics, to take in the show starting at 10 p.m. Parking is limited, so we recommend taking the Link Light Rail to the Angle Lake station, which is walking distance to the park. 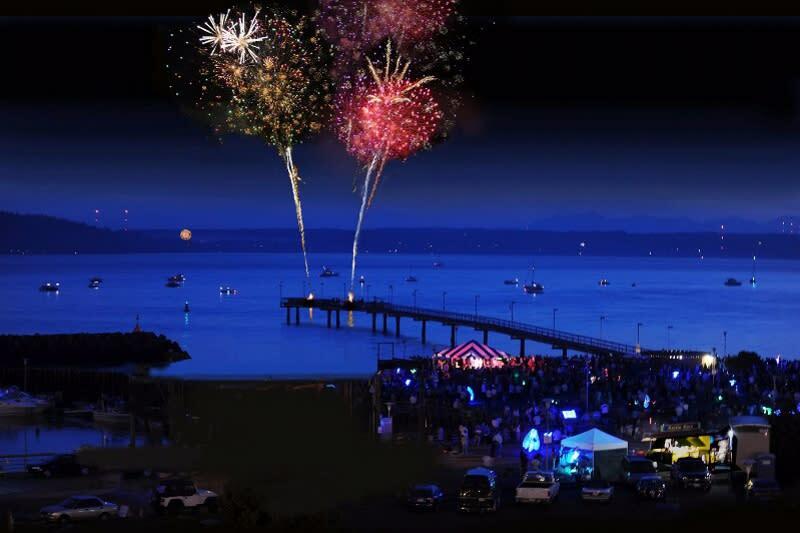 Bring the family to the Des Moines Marina for a good &apos;ol fashioned 4th of July celebration. Get there early and dine on food truck fare, while the kids have a blast at Merry Makers -- a new kids carnival featuring bounce houses, obstacle courses, mini golf, and more. At 5:00pm, the beer gardens open up and two live bands will be performing until the fireworks start at 10:20pm. Parking is limited at the marina, but you can take the 121, 122, 131 and 132 bus routes along Marine View Drive and walk down to the show. 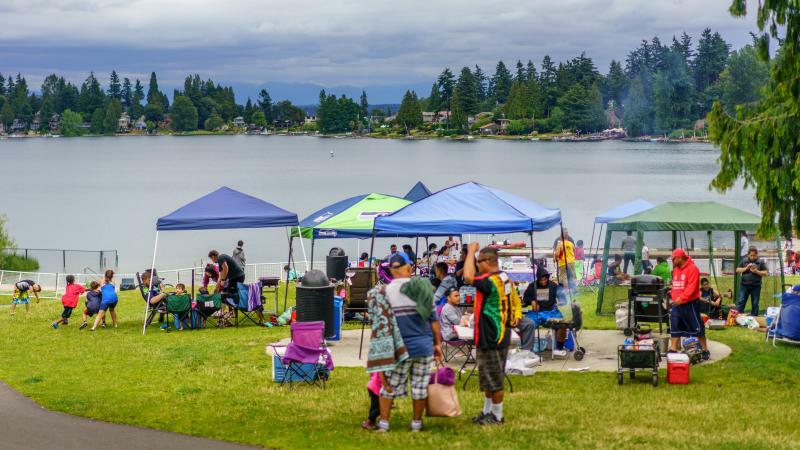 Head to Fort Dent Park for the annual Family 4th at the Fort! Celebrate the day with live music, bounce houses and slides for the kids, and plenty of entertainment The fireworks go off around10 p.m. so, make sure you are there early enough to stake out the perfect spot. Bring a picnic dinner or buy from one of the many onsite food trucks. Parking is on a first come, first serve basis. You can also get to the park via bus on the 150, 154, 161 and 280 Metro Transit buses. 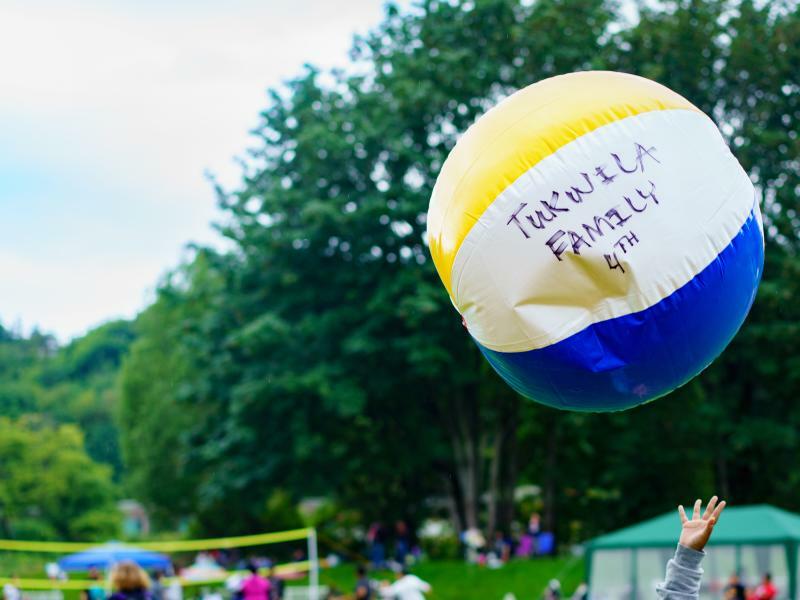 Arrive early and plan on spending the day – bring a picnic, blankets, games and sun block! Wherever you celebrate the holiday have a safe and fun filled weekend!